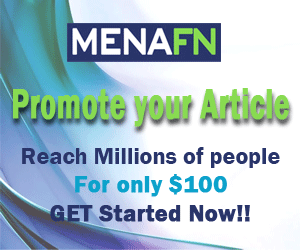 (MENAFN - DailyFX) From the October 6, 2017 low, is advancing in impulsive waves while falling in corrective waves. For the time being, this places the near term trend pointed towards higher levels. , we identified EUR/USD appears to be in a fourth wave or having just completed a fourth wave. The price action since October 6 continues to support the analysis as we forecast higher levels for EUR/USD. Are you new to trading the FX market? EUR/USD Forecast - Still in Triangle Though we cannot say for sure which of the patterns we are in, I am leaning towards a continuation of a fourth wave triangle. The triangle pattern implies EUR/USD remains supported above 1.1662 and moves into the 1.19 handle, possibly as high as 1.20. If the and if the flat has previously ended then it implies we are travelling higher in the fifth and final wave. Under this scenario, EUR/USD likely breaks above 1.20 and may move as high as 1.22. The sentiment picture continues to support bullish patterns. The current sentiment reading is -1.4 which is a bullish signal to keep on top of any changes that may occur. This is a shorter term forecast for and . For a longer term quarterly view, . For further study on Elliott Wave impulse patterns, . Discuss this market with Jeremy in . provides forex news and technical analysis on the trends that influence the global currency markets.